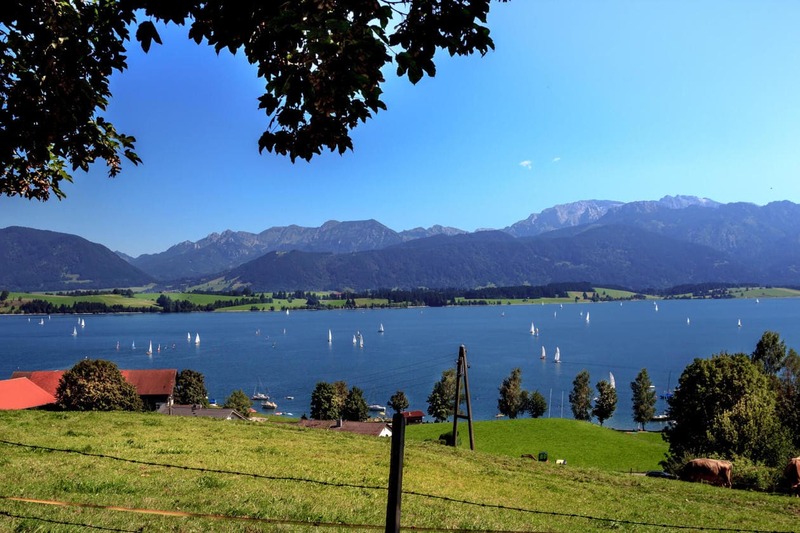 We began our stay in Germany by spending a few days in Munich, and then Fussen. From there, we did as most Bavarian road-tripping tourists do and headed North to explore the Romantic Road. Before you visit a new part of the world, it’s hard to know if you’re making the right decisions for your personal travel preferences. On paper, the Romantic Road sounded incredible but unfortunately I ended up being a little disappointed. I blame my disappointment on the fact that we started in the Southern end of Germany. 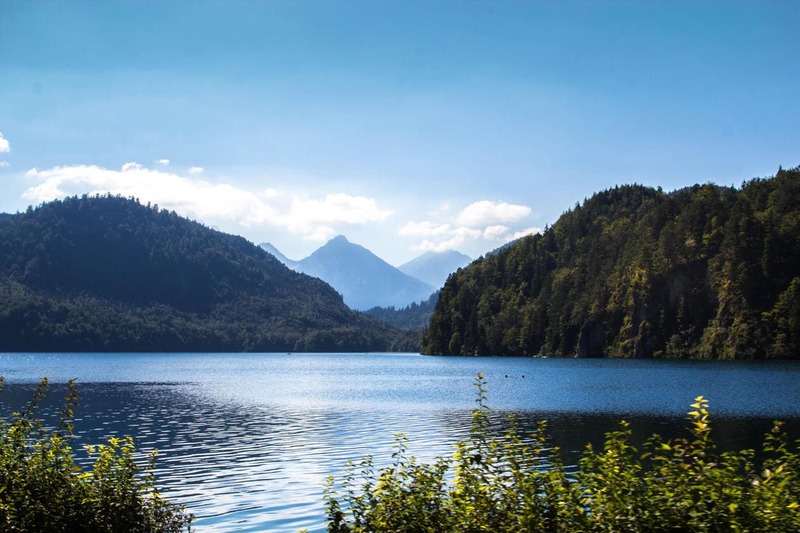 The Bavarian Alps are breathtaking, the scenery is incredible and this area of Europe is one of my new favorites. Everything after it paled in comparison. If I were to do it all over again, I would spend much more of my time in the Bavarian Alps. Here are some of my favorite “off the beaten path” gems we found during our time here. 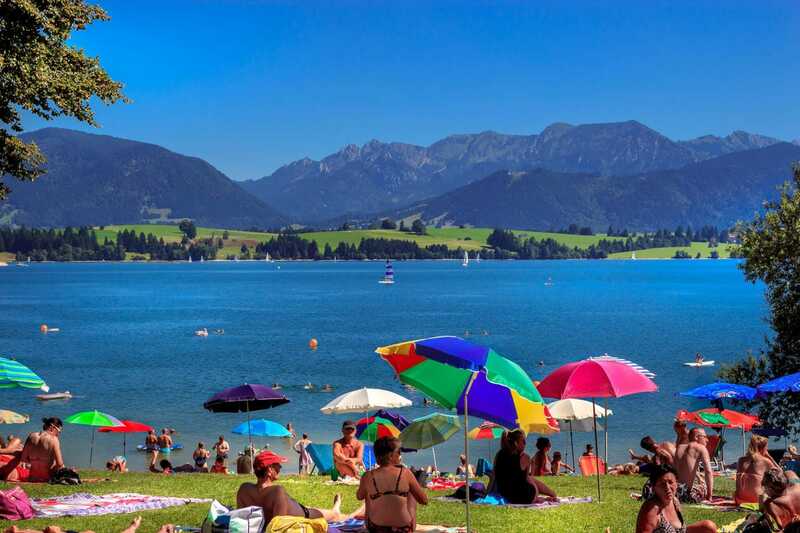 If you are traveling to Fussen to or from Munich during the warmer months, make a point to visit Rieden Am Forggensee. It’s right off the highway so it’s an easy pit stop. We randomly stopped here after spotting 100’s of people on the shore of Foggensee lake. 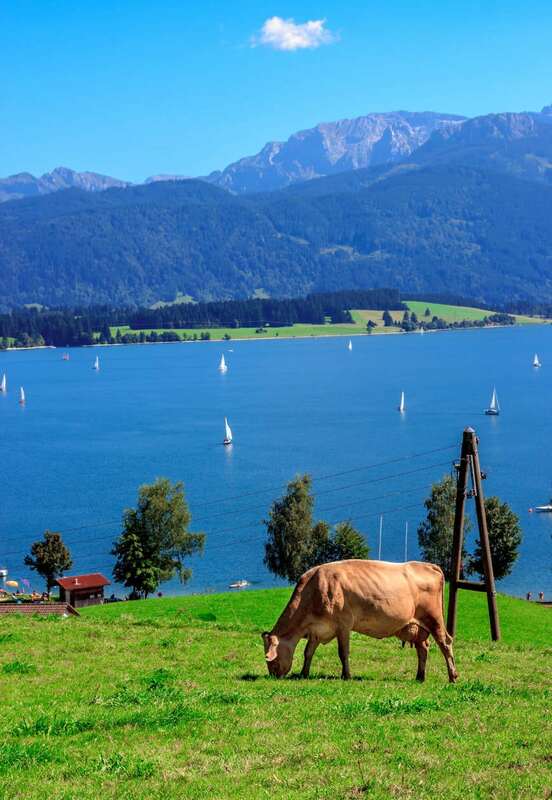 This lake was picture perfect; cows grazing on the hillside, people sunbathing under colorful umbrellas and white sailboats off in the distance. The water was cold, even though most didn’t seem to mind. There was also a concession stand serving food and cold beers. 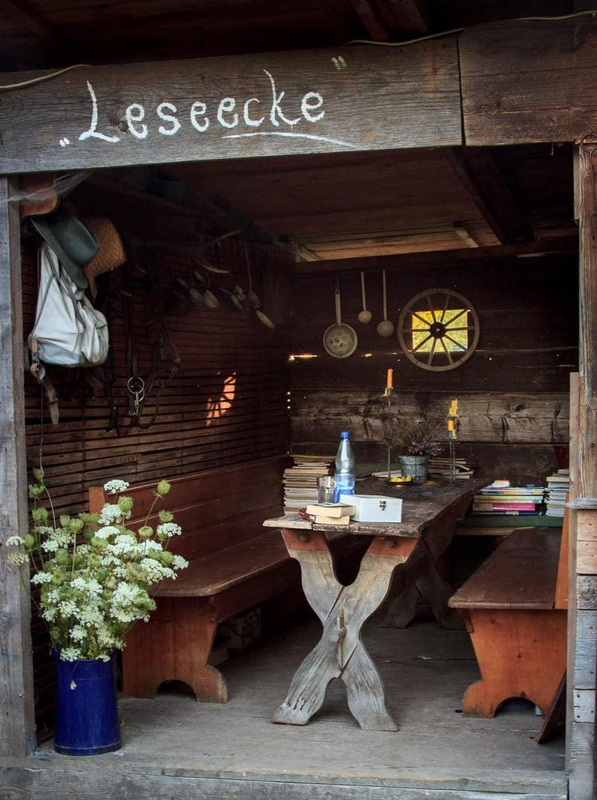 When I was looking for AirBnb’s along the Romantic Road, I stumbled across something special in a German town called Ohlstadt. It wasn’t necessarily on the official Romantic Road route but I made an exception and we took the 36 mile (59km) detour. This ended up being one of the best decisions of our trip. After spending the day in Fussen and visiting Neuschwanstein Castle, we made our way to the “Bettina’s Arthouse,” the cutest B&B I’ve ever stayed at. To get to Ohlstadt, our GPS navigated us through Austria and along the way everything was so incredibly beautiful, we must’ve stopped 15 times. It took us 3 hours to go 40 miles! 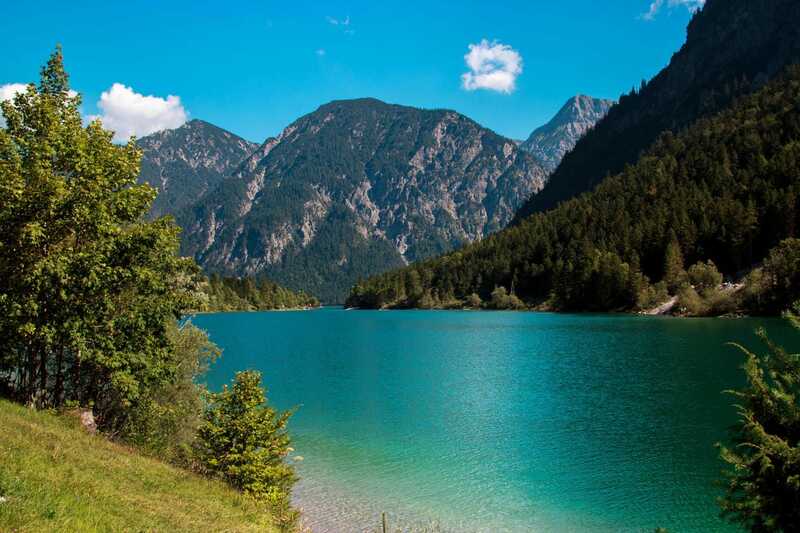 Our favorite stop along the way was near Breitenwang along Plansee Lake. 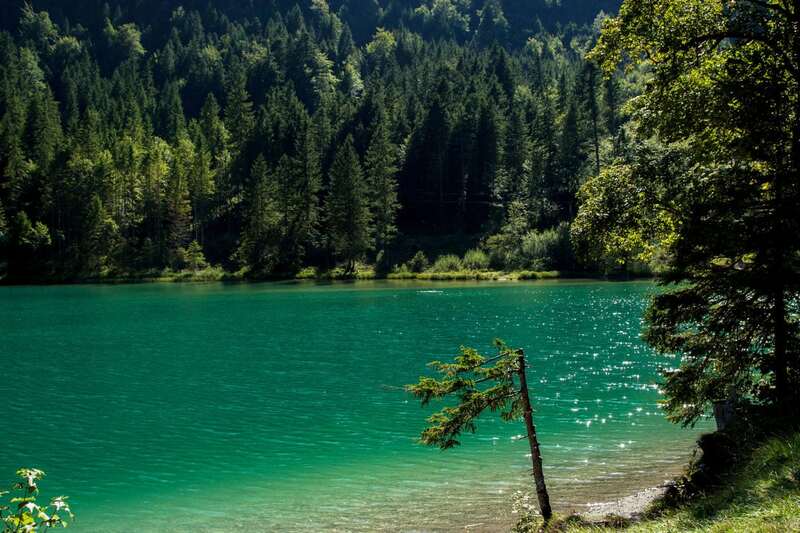 The turquoise water splashed up against banks of forest green trees. The color combination was nothing like I’ve seen before in nature. When we walked down to put our feet in the freezing cold water, we noticed an apple tree was dropping fresh apples into the lake. You’re damn right we filled up an entire bag with these free, Bavarian Austrian apples.. and they were delicious. 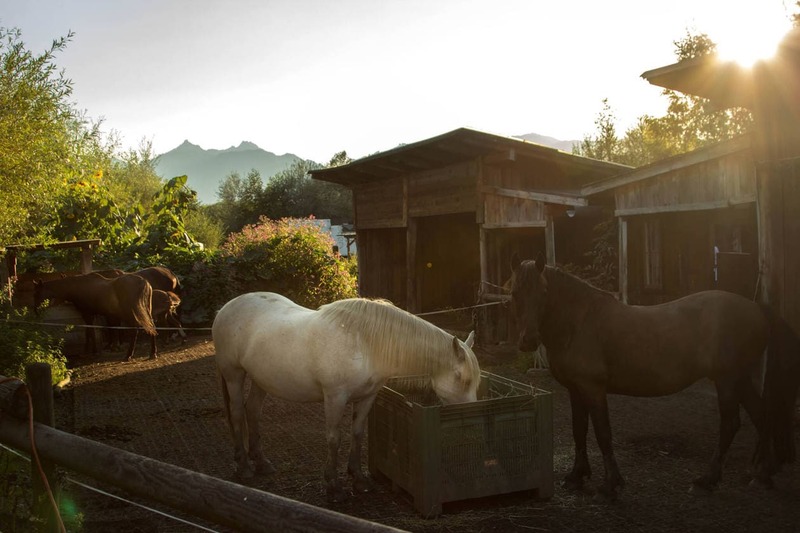 Bettina’s Arthouse is a peaceful, 7 acre escape in Ohlstadt, Germany – only 40 minutes from Munich. Stay in one of the adorable cottages on her property; enjoy a rainwater shower, spend time in the reading nook or play with the horses. This is one of the cutest Airbnb’s I’ve ever stayed in and at only $25 per night, it’s worth going off the beaten path for. 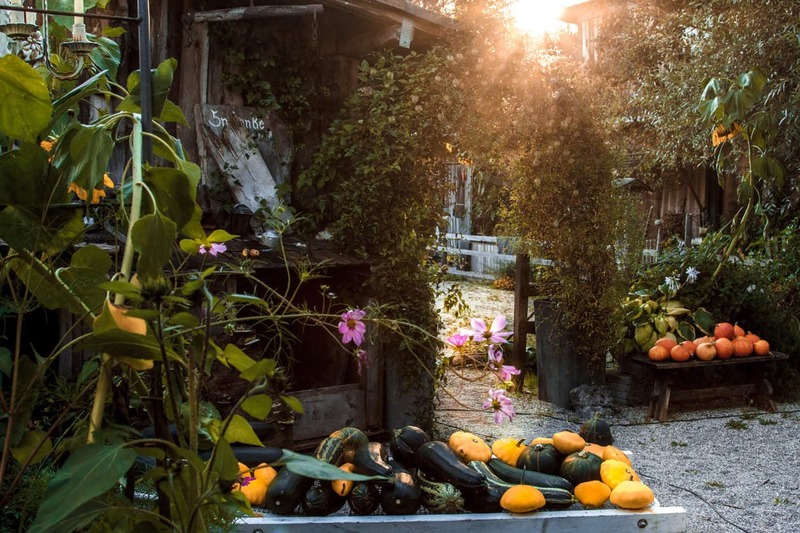 When you venture off the beaten path, it’s inevitable that you’ll discover some of the best hidden gems.. and aside from Bettina’s Airbnb, we ran into no other tourists along the way. 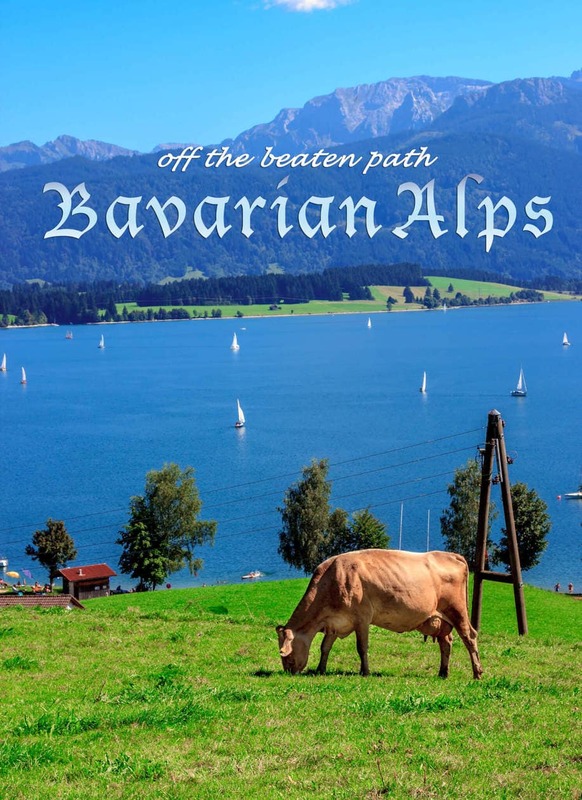 Have you visited the Bavarian Alps? Let me know about your favorite places!